Are you shopping for that person that has everything? I bet they don’t have a hunky construction worker merman on their fridge. Check out the whole collection. You can get the white party merman, the leather merman, and so much more. 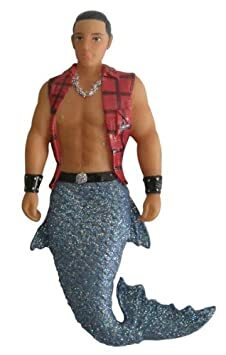 Here’s another Merman that you may like. The Ethel Merman Experience does Nirvana.